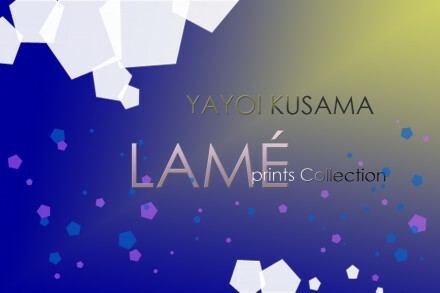 草間彌生 ラメコレクション　YAYOI KUSAMA LAMÉ Print Collection | たけだ美術 Takeda Art Co.
【Date】17th September/wed. – 2nd November/sat. 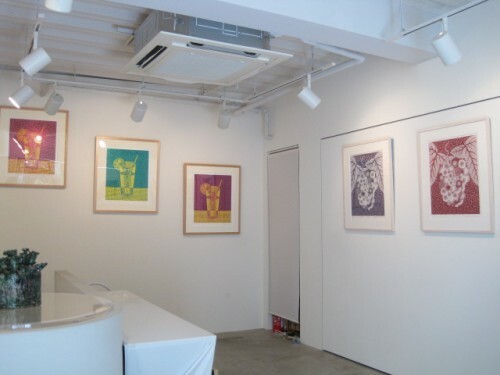 Takeda Art Co. is holding an exhibition “LAME Print Collection” by Yayoi Kusama. 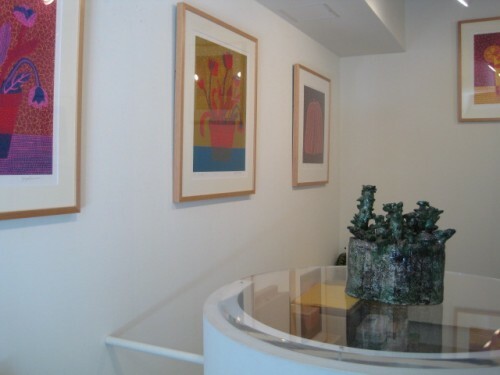 We present twenty works including LAME sculptures and PEARL paintings, mainly the figurative prints in the 1980’s. To begin with, Kusama was surprisingly a slow starter to work on her prints after she returned from New York in the mid-1970’s. She took her time to produce two works in 1979, then after being away from printing for a year, produced another work in 1981. At the same time, she began to work on figurative expressions in painting. Thus Kusama drastically progresses in art style, from stoic Nets and Dots to iconic Flower, Hat, Grape, Pumpkin and so on. In 1985, Flower was the first work that expressed Lame Print. The LAME style continued for about thirty years from the 1980’s to 2010, from single-colored grape series to multi-colored flower series. Each particle of LAME seems to be a minimum unit of “Dots” and each particle of PEARL looks like a bit of light which appears and disappears like bubbles. Death: it is the single-colored image as it sinks down in deep. Life: it is the strong multi-colored image that is decorative. This exhibition brings you something from the Kusama’s extremely particular world crossing from this world to another. Such depth of psychology exists on her works. It is hard to imagine the gap in the works of sparkly and pretty lame that “everlasting girl” probably loves so much. 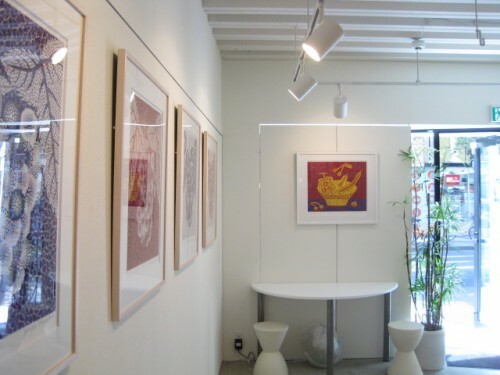 We hope the exhibition will capture your imagination in long autumn evening.